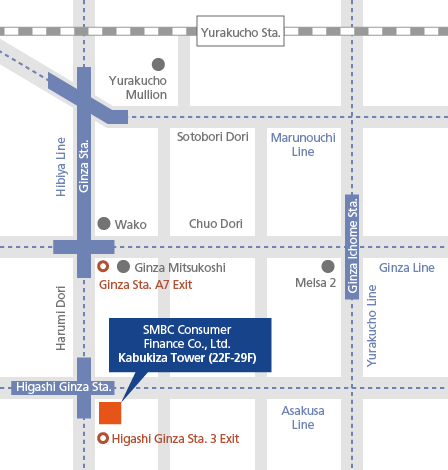 CSR Topics | CSR | SMBC Consumer Finance Co., Ltd. 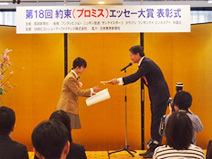 The awards ceremony for the Promise Essay Awards, which are co-sponsored by SMBC Consumer Finance and sponsored by Sankei Shimbun Co., Ltd., was held on March 25 at the Sankei Building in Otemachi, Tokyo. This year’s entries totaled 5,053, but among the many fine entries was one splendid grand prize winner—“The day of Promise” by Momoka Nakamura. Fifteen other essays also received awards. 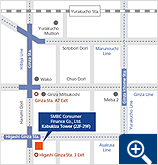 Essays that receive the grand prize and awards of excellence are published in the Tuesday March 25 morning edition of the Sankei Shimbun newspaper, and the winning essays are published on the Sankei Shimbun homepage. 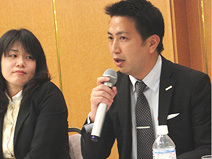 On January 31, SMBC Consumer Finance made its fiscal 2013 contributions to The Children’s Future Foundation incorporated foundation and The National Independent Support Homes Conference, two beneficiaries of the Yakusoku-no-Mori program*, a voluntary employee in-house fundraising program. We introduced the Yakusoku-no-Mori matching gift program in September 2007 to encourage employee interest and participation in social contribution efforts. 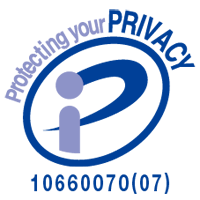 Employees themselves select a funding recipient from among many potential beneficiary organizations, and set aside a determined monthly amount for donations. The Company matches the amount of money saved, and the total amount is donated once a year to the beneficiary organizations. 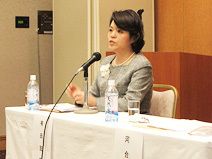 On January 17, at Arcadia Ichigaya in Tokyo, the Specified Non-Profit Organization Association for Women’s Self-sufficiency (herein after the Association) held a symposium entitled “Toward a time when your credit score is your “heart score”—the role of the lender in a zero savings age.” Mr. Hamada, SMBC Consumer Finance’s Finance Business Division Manager, participated as a panelist. The panel included Ms. Arita, association administrative director who served as the coordinator, along with Ms. Kawai, a consumer life advisor; Ms. Tsujimura, a certified social worker from the Youkoudai, Yokohama Comprehensive Community Support Center; and Mr. Morimoto, the assistant director of the finance section of the Osaka Prefectural Government’s Department of Commerce, Industry and Labor. The panelists discussed the problems they deal with in their respective areas, and offered ideas and opinions for improvement from their specialized professional points of view. There were also many questions and suggestions from the attendees, showing high concern over multiple indebtedness problems, as well as reconfirming the role SMBC Consumer Finance is expected to fulfill to realize the foundation of a sound consumer finance market.